CRAZY HORSE, S.D. 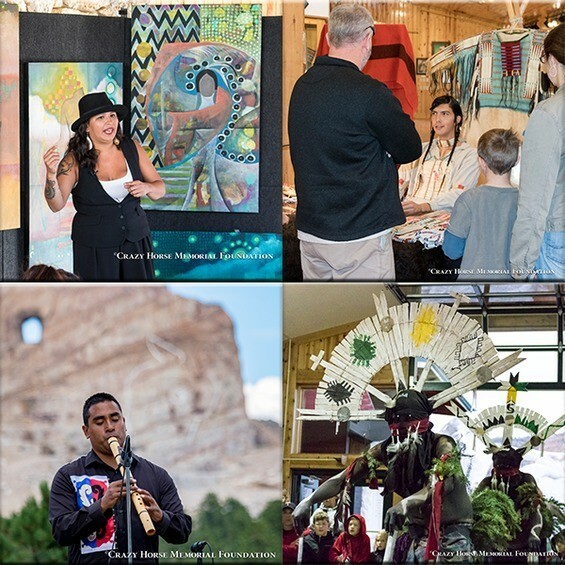 – Crazy Horse Memorial, located in the Black Hills of South Dakota, is currently accepting applications from Native American artists, lecturers and performers for the 2019 Summer Programs. Applications are available online and the deadline is January 31, 2019. Native American artists looking for opportunities to expand, improve or share their artistic talents and culture are encouraged to apply for one of the six programs available through the Indian Museum of North America® and the Native American Educational and Cultural Center®. The programs are designed to help Native artists gain exposure and support on their journey through the arts. Some of the programs offered also provide housing, meals and compensation to the chosen artist(s) and performer(s). For more information about the 2019 Summer Programs, call (605) 673-4681 ext 286 or email at loni.manning@crazyhorse.org .